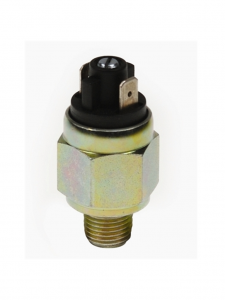 These subminiature pressure switches, the PMN10C1/8K And PMN10C1/8KAP, are used to check the pressure either in oil or grease lubrication plants and hydraulic, pneumatic and water circuits. These switches are designed with hexagonal bodies, silver contacts, HBNR, NBR, Viton, EPDM or Silicone membrane, faston connection and springs to balance and adjust the pressure to be checked. The pressure of these switches can be adjusted easily using a screwdriver, paying attention that the spring is not affected.